“Quality” as an adjective was just one of the things that caught my attention during a recent visit to England. Another was this play on man with a van, spotted during on a vehicle parked near Pembridge Villas in London. I presume the van was not, say for argument, a Ford? What van maker would Gentleman use I wonder? Could be a clue as to whether he may be “new money” and then clearly Not a Quality Gentleman? 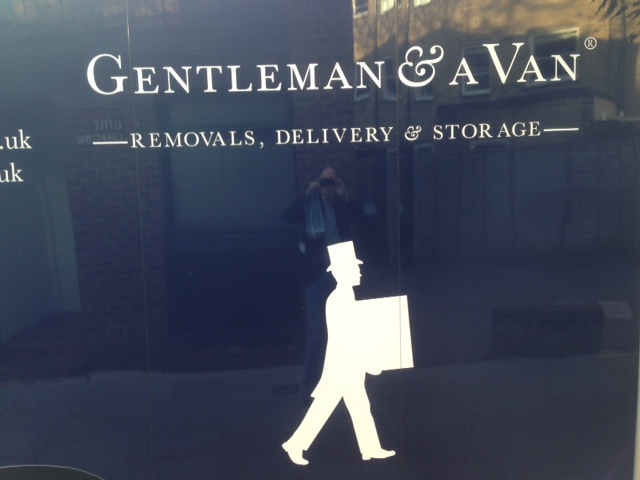 The van’s clearly a Luton (http://www.gentlemanandavan.co.uk/) – which just about says it all.(http://youtu.be/2jeGLrvy5i8) . It was only working in logistics software that I learned the reason a Luton van is so called, is because it looks like a hat, and Luton was the home of English hatmaking at the time ….